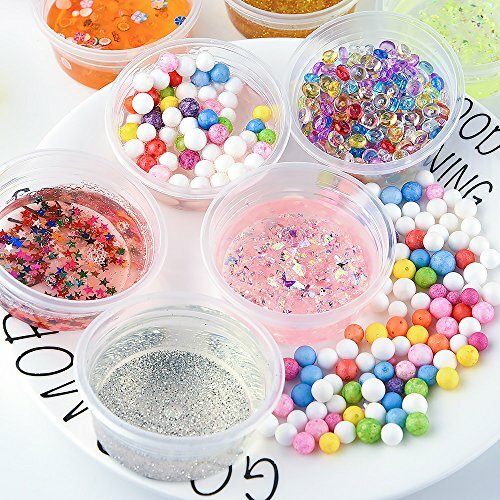 Application: slime diy, homemade decorations, school craft, ect. 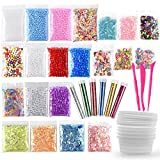 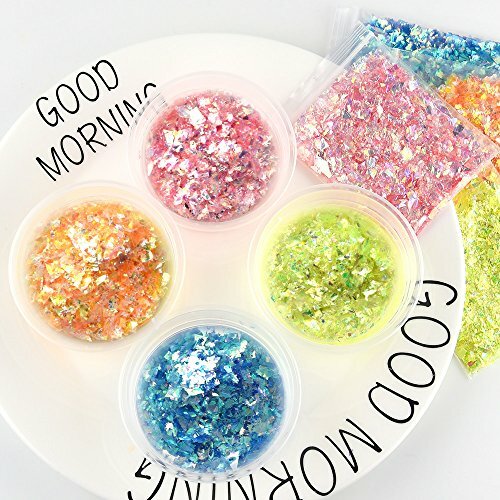 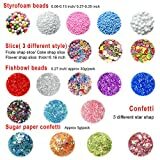 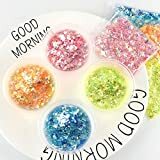 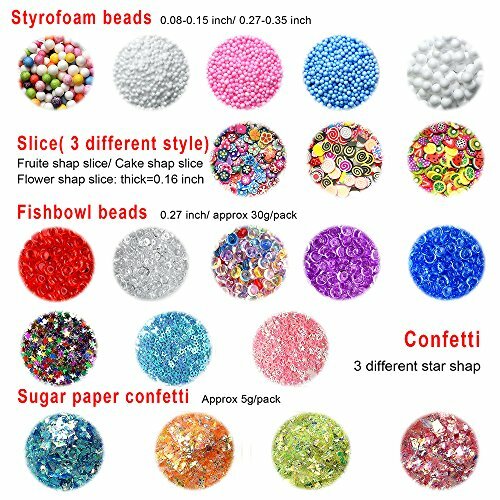 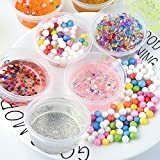 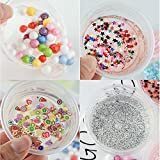 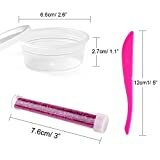 FEPITO slime making supplies, included 35 packs of different slime accessories, includeing: Fishbowl beads, Foam beads, Glitter, Fruit slice, Colorful sugar paper, Star confetti, good suitable for different slime making, gift box filling, glass bottles diy, floral diy, homemade decorations. 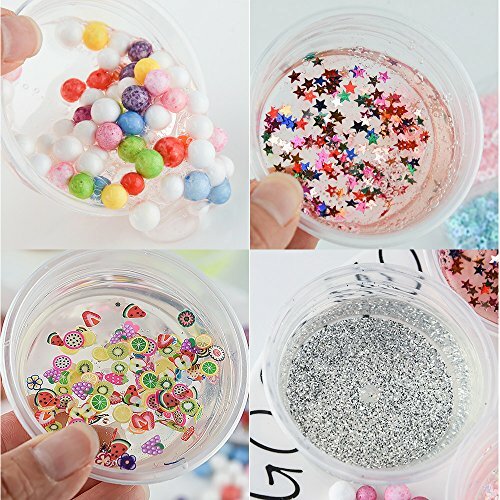 The product contains no slime and glue. 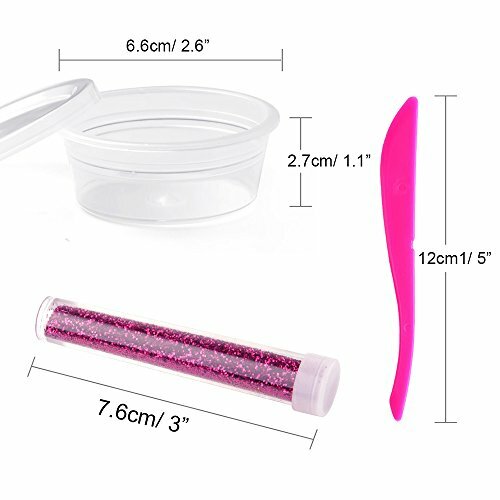 Not for the children under 3. 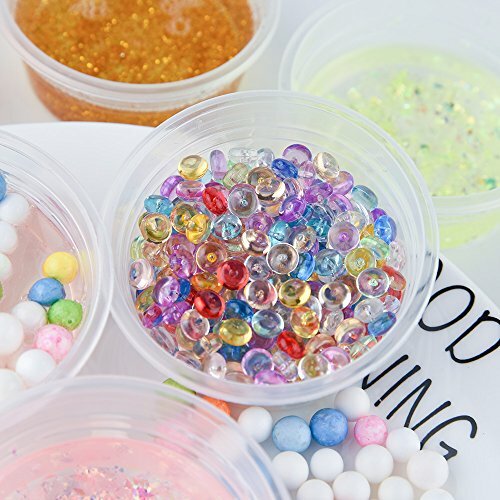 Only for playing, not edible.